A team of researchers from several institutions in the Netherlands and Yale University in the U.S. has found evidence that suggests deep brain stimulation (DBS) can help treat type 2 diabetes. In their paper published in the journal Science Translational Medicine, the group describes what happened when a single patient with a mental disorder was treated with DBS. The story began, the researchers report, when a patient with obsessive-compulsive disorder failed to respond to traditional treatments. His doctors suggested trying DBS as it had shown promise with others with the same condition. After the treatment, the doctors discovered that not only did the patient show improvements in OCD symptoms, but also a reduction in type 2 diabetes symptoms. That led them to test other OCD patients that underwent DBS treatments. In so doing, they discovered that all subjects showed an increase in sensitivity to insulin. During DBS for OCD, a small amount of electricity is focused on a part of the brain called the nucleus accumbens—it has been found to be in part responsible for motivation and reward processing. The tiny jolt helps get the wiring back to a normal state. The researchers found that it also stimulates the ventral striatum, which is involved in regulating glucose levels in the body. And glucose is, of course, a type of sugar fuel for cells. The hormone insulin regulates this process. 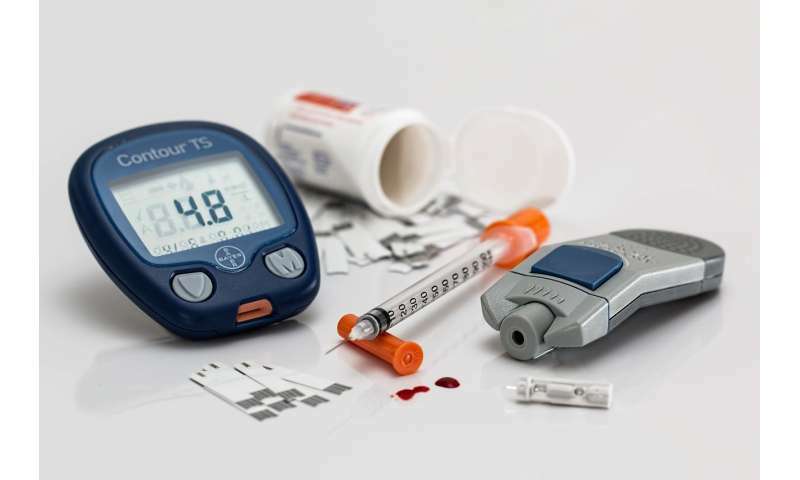 In patients with type 2 diabetes, various factors contribute to reduce insulin production, resulting in higher levels of glucose in the blood, which can cause a host of problems. Treatment for diabetes patients typically involves injecting insulin, or taking drugs that cause the liver to produce less glucose and/or make cells more sensitive to insulin. Now, it appears that DBS can do roughly the same thing, i.e., make cells more sensitive to insulin, which, in turn, means it does not take as much to fuel cells. The researchers are not suggesting DBS as a treatment for diabetes, such procedures are too invasive. Instead, they suggest their finding might help in the development of other treatments that work in similar ways. The brain is emerging as an important regulator of systemic glucose metabolism. Accumulating data from animal and observational human studies suggest that striatal dopamine signaling plays a role in glucose regulation, but direct evidence in humans is currently lacking. We present a series of experiments supporting the regulation of peripheral glucose metabolism by striatal dopamine signaling. First, we present the case of a diabetes patient who displayed strongly reduced insulin requirements after treatment with bilateral deep brain stimulation (DBS) targeting the anterior limb of the internal capsule. Next, we show that DBS in this striatal area, which induced dopamine release, increased hepatic and peripheral insulin sensitivity in 14 nondiabetic patients with obsessive-compulsive disorder. Conversely, systemic dopamine depletion reduced peripheral insulin sensitivity in healthy subjects. Supporting these human data, we demonstrate that optogenetic activation of dopamine D1 receptor–expressing neurons in the nucleus accumbens increased glucose tolerance and insulin sensitivity in mice. Together, these findings support the hypothesis that striatal neuronal activity regulates systemic glucose metabolism.